A simple clerical mixup over similar names or something much more sinister? Taylor "Sam" John isn't so sure. Years ago, she escaped a hellish marriage by joining the U.S. Navy. Suddenly, her past seems to be popping up everywhere. At the center of it all is a shy, charming guy named Sam Taylor. 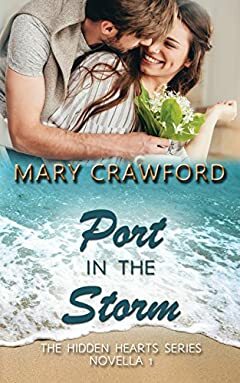 Is he the cause of the unrest in her life or a welcome port in the storm? Authors note: This novella may be read as a standalone, but it is best understood if read after Hearts of Jade and before Love is More Than Skin Deep.